Abandoned Ski Resort: Welcome to the Perfect Playground! Abandoned Ski Resort: Welcome to the Perfect Playground! Abandoned Ski Resort: Welcome to the Perfect Playground! Welcome to the Perfect Playground! Curated by Snowcomparison.com. Originally published by Red Bull on April 26th, 2016. 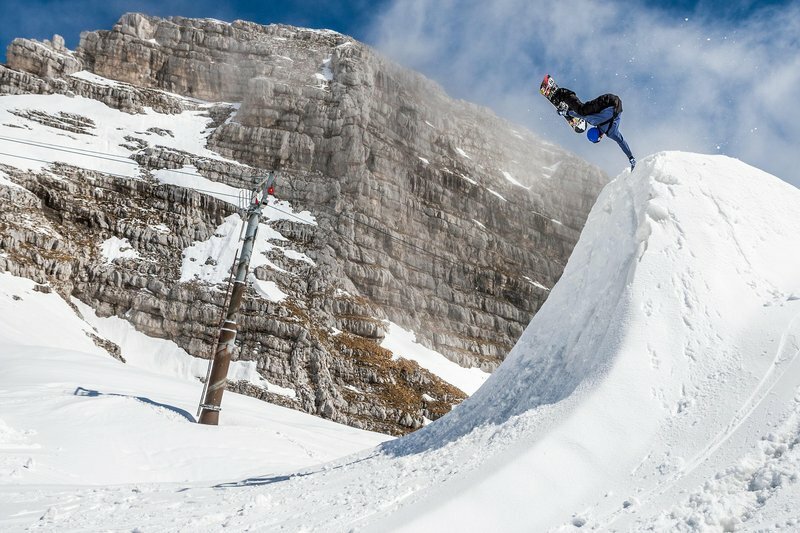 Imagine being a snowboarder and having a resort completely to yourself and a crew of friends. Now imagine having a crew of friends, an abandoned resort and everything you need to build and shred your ‘Perfect Playground’. Sound like a lot of fun? That’s exactly what Marko Grilc and Tim-Kevin Ravnjak did. 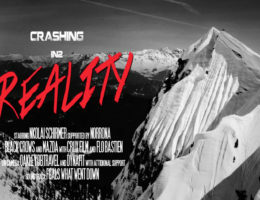 The Slovenian duo teamed up with snowboarding’s prodigy from the USA, Red Gerard, Austria’s Clemens Millauer and local gun Žiga Rakovec, and invited Transworld Snowboarding to take some pictures. Once everybody was on board, the crew set course towards distant peaks high above the picturesque Soča valley in the far north-west of Slovenia. Kanin has always been the place to be when we wanted to try something new and different. With lifts reaching 2,200m above sea level, Kanin used to be the only high-altitude ski resort on the ‘sunny side of the Alps’, renowned for its breathtaking alpine backdrop, long winters and enormous amounts of snow. Unfortunately the resort had been going through tough times for the past two decades and got temporarily shut down three years ago. Nowadays the only way to reach the top is a 45-minute drive with a Land Rover followed by an hour of extreme Snow Cat driving. A bleak story indeed, but the total absence of crowds paved the way for wild ideas to start sparking in all directions. What can you do at a resort that’s been closed down? Well… pretty much everything you aren’t allowed to in an open one! Through the eyes of a snowboarder this is pretty straightforward – build a snake run through a cable car station, make a drop off the roof, ride the chairlift in any way you can, jib some street spots, and build a huge kicker in the middle of the ski slope, hit it and have fun! 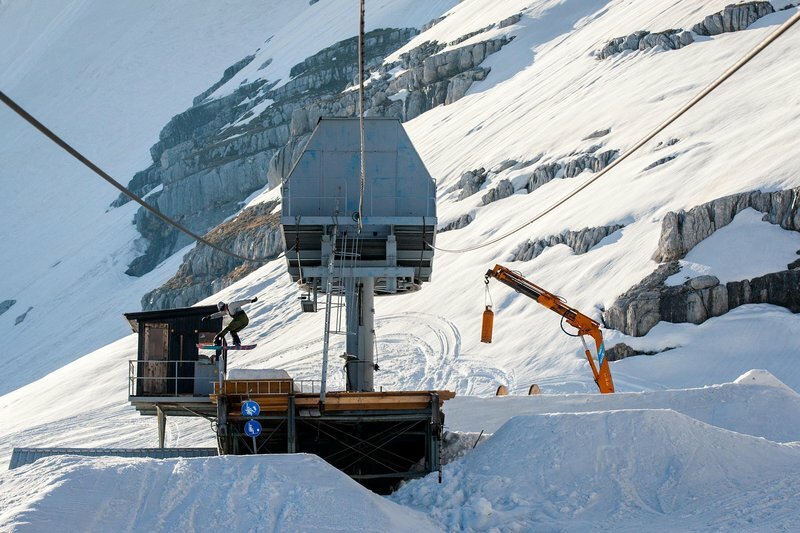 It’s so insane to be doing things that you usually can’t do – like riding a banked slalom through a gondola station. 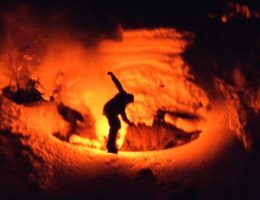 Even though building and riding the Perfect Playground proved to be more of a backcountry adventure than a casual spring park shred, the crew were always on top and enjoyed every single moment of it. 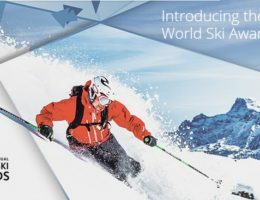 Top Ski Resorts that won the World Ski Award for 2016 (Part 2) – IS YOUR FAVOURITE SKI RESORT SELECTED?